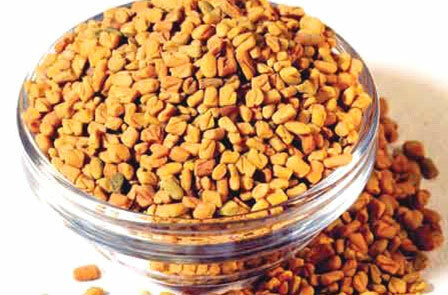 Take some fenugreek seeds and make a paste of them. Now apply it on the head. The head bath should be done after half an hour. Follow this regularly to reduce the problem of dandruff. Take a little amla powder and let it soak in the glass of water overnight. Wash your eyes with that water in the early morning. As a result, your eyes flashed like sun. Add cumin seeds in boiling water to cook. Wash off your face with this water to own a shiny skin. Mix two tbsp of wheat flour with a cup of yogurt. Mix them well to make a fine paste. Apply it over the face. Clean your face with scrub after half an hour. It acts as a good moisturizer. Soak some radish seeds in the water to make a paste. Apply the mixture on your face and let it dry. Rinse off your face with normal water. If you do like this, the black spots on the face will be disappearing. For dry hair, take a well ripe banana and blend it with honey and lemon juice. Apply this mixture on the scalp. Take head bath with lukewarm water after half an hour. If you apply this regularly shiny and healthy hair is yours. Soak some almond nuts in the water to make a paste. Add a little amount of milk powder; little bit of honey, a few drops of lemon juice and a little olive oil to the mixture and mix them well. Apply it around the neck. Allow it to be for thirty minutes and wash off. The black rings around the neck entrenched and it seems pretty. 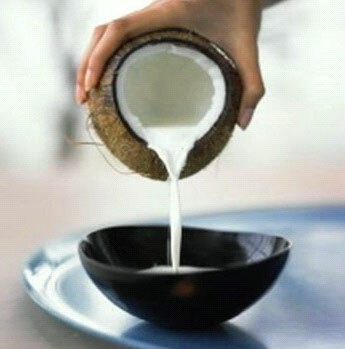 If you want immediate lightning to the skin, dip a cotton ball in coconut milk and apply it on the entire face and massage it. Wash your face after some time. Take an orange and cut off it into two pieces. Take an orange and cut it into two pieces. With the piece gently massage on the skin. Follow this regularly to get soft and brightest skin. Equal amounts of rosewater and glycerin are required to make this remedy. Mix both solutions. Dip cotton on ball in the mixture and apply it on the cracks in the legs. Cracks will gradually decline and have silky smooth legs.